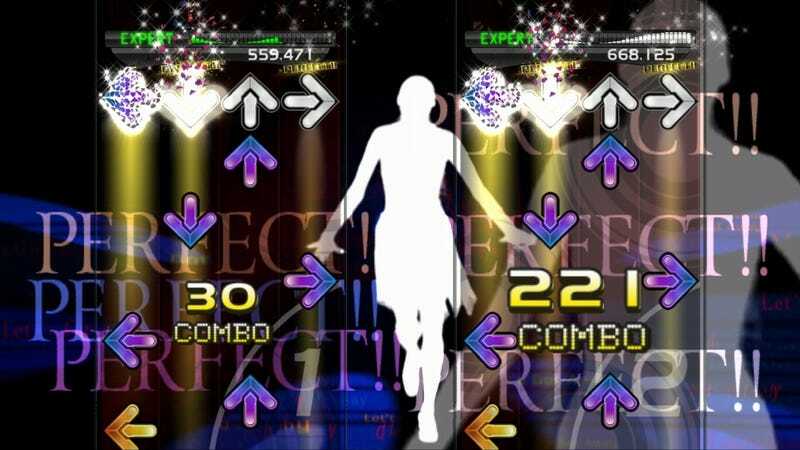 If Adam Lanza—the shooter responsible for last year's Sandy Hook Elementary School Massacre—had a video gaming obsession, it appears to be Dance Dance Revolution, according to a comprehensive final report the state of Connecticut released today about the mass killing. From data recovered from a GPS device his mother had given him, which recorded his movements up to the day before the shootings, Lanza was playing DDR "most every Friday through Sunday," for "four to ten hours," says the report. It's quite a different picture of Lanza than what emerged in mainstream media—and particularly in a fulminating news conference held by the National Rifle Association—about Lanza's gaming habits and the implications they influenced his behavior. To be sure, investigators recovered several video games from the family home, and among them are titles very familiar to the violent video games debate: Grand Theft Auto, Call of Duty, Doom and Left 4 Dead. But other titles cameo in the report, too, including Pikmin, Paper Mario, Shin Megami Tensei, LEGO Star Wars and Kingdom Hearts. Update, 11/26: We neglected to mention that investigators said they found a PC game called "School Shooter," but what exactly that could be, we're not sure. It's not one of the infamous fan-made mods setting a mass killing inside an existing game, the state's attorney said. Nonetheless, DDR was still the only game described at length in the report on Lanza's activities and habits. The conclusion of the report, signed by Stephen J. Sedensky III, the state's attorney for the Danbury, Conn. judicial district, does not mention video games at all in speculating on Lanza's motive. "What we do know is that the shooter had significant mental health issues that ... did affect his ability to live a normal life and to interact with others, even those to whom he should have been close." The report also noted Lanza's "familiarity with and access to firearms and ammunition and an obsession with mass murders, in particular the Columbine shootings." Investigators recovered a number of video games from the Lanza home, where the shooter killed his mother before driving to Sandy Hook Elementary School to carry out the Dec. 14 massacre, which left 26 dead and two more wounded. Additionally, interviews also described his gaming habits which cover a wide range of genres. A search warrant was served on Blizzard Entertainment, makers of World of Warcraft but what investigators found in that search is not described. Of games and gaming habits described, only Dance Dance Revolution is discussed in great detail. Investigators recovered video of Lanza playing it and knew that he had a preferred outfit when going to a local movie theater to play: a gray hoodie and slacks. After a 2011 snowstorm, Lanza was not seen at the theater until February 2012, and when he returned to play DDR he did so by himself. "An acquaintance of the shooter from 2011 to June 2012 said that the shooter and the acquaintance played DDR quite a bit," the report says. "They would play the game and occasionally see a movie. They did not play first person shooter games at the theater. The shooter had stamina for DDR and never appeared winded unless really exhausted." The Sandy Hook killings fixated public anger on a number of institutions, one of them the National Rifle Association, the nation's foremost gun lobby. Wayne LaPierre, the NRA's executive vice president, excoriated violent video games as a proximate instigator of school gun massacres, naming titles such as Bulletstorm, Grand Theft Auto, Mortal Kombat and Splatterhouse. Of those games, only Grand Theft Auto was found in the Lanza home. A smashed Xbox 360 whose hard drive was unreadable was recovered from the home, and Lanza also appears to have intentionally damaged his PC hard drive in order to make it unrecoverable. In addition to the games, investigators found "a large number of firearms and related items in the home," the report says, with all of the firearms involved in the incidents "legally purchased by the shooter's mother over the years." Investigators also found items that indicated a macabre interest in gun massacres at schools—including a book about the 2006 shooting at a one-room Amish schoolhouse in Lancaster County, Pa., and photocopied news clippings from 1891 about the shooting of school children. Lanza also apparently maintained a spreadsheet with information about mass shootings over the years. Though the report is careful not to draw any conclusion as to what motivated Lanza to carry out the rampage, it notes in detail his mental health history. Lanza had been bullied in school, and was increasingly described as antisocial and lacking social skills as he got older. In 2005, he was diagnosed with Asperger syndrome, and his mother was said to have worried about what would happen to him if something happened to her. "The mother took care of all of the shooter's needs," the report says. They found a check meant to purchase a pistol for Lanza, as a present that Christmas. These are all of the games mentioned in the report. All titles are verbatim from the report. Two pistols, two rifles and a shotgun were recovered, either from the scene of the crime or the Lanza home. Investigators found 253 live rounds of ammunition on his body. The entire report may be viewed as a .pdf here.